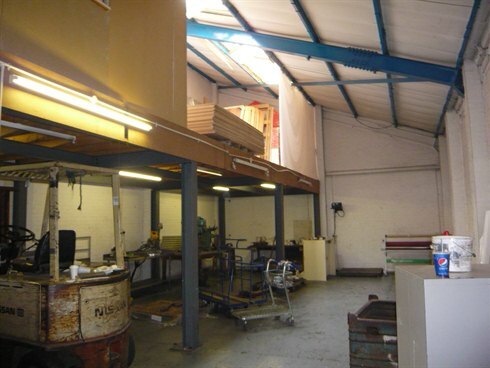 The property comprises a self contained mid terraced industrial unit under a pitched asbestos roof. 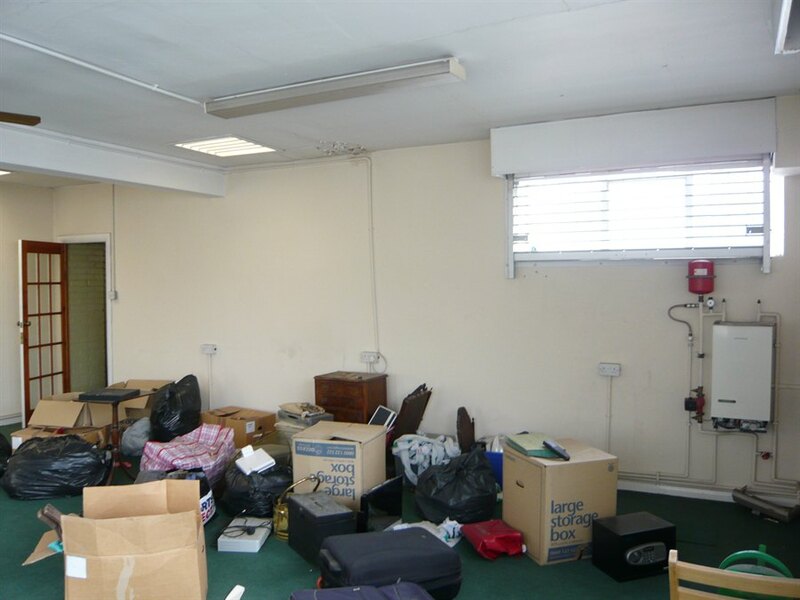 The unit incorporates a ground floor workshop / storage area, ground and first floor offices, kitchenette and separate male and female WCs. There is also a mezzanine floor over part of the workshop which provides extra storage space. 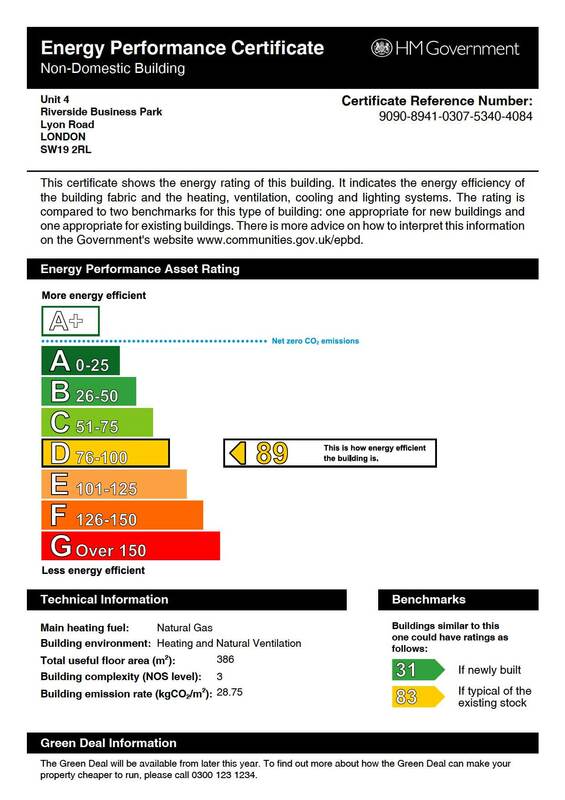 Minimum eaves height 13' (6.65 m) rising to 21' 10" (6.65 m), reduced to 8' (2.45 m) under mezzanine. 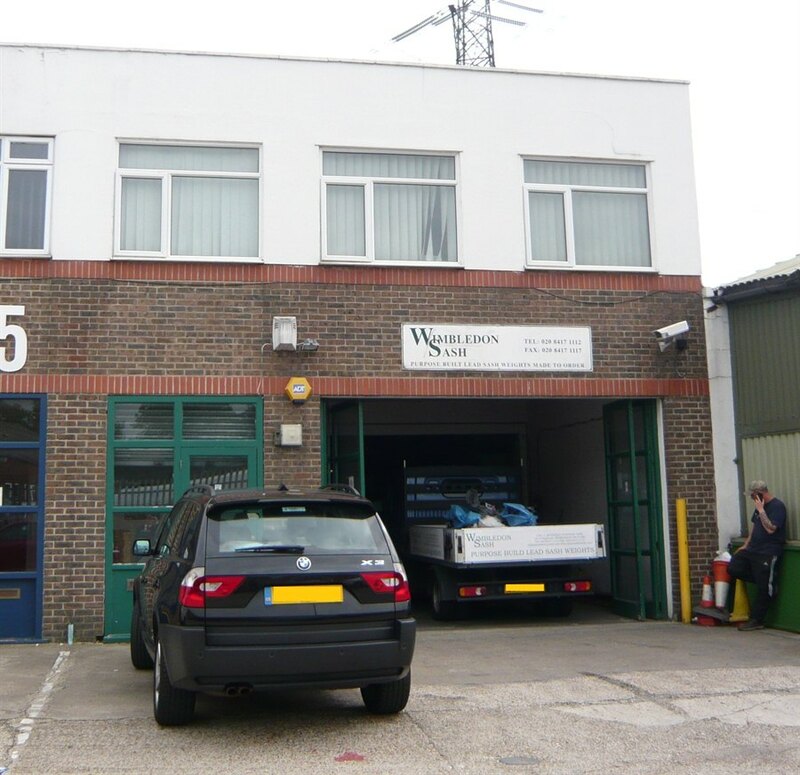 Loading is via a roller shutter door at the front of the unit which also benefits from a forecourt providing parking for two cars, with two further single car spaces located on the business park. 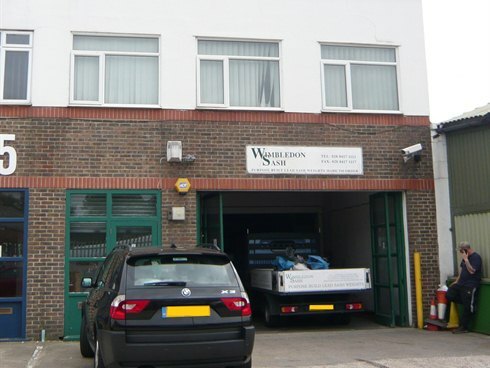 The property is located in the popular Riverside Business Park in Wimbledon, within half a mile of the A24, which merges with the A3 to the north, giving direct access to central London. To the south, the A24 provides access to the M25 junction 9. South Wimbledon Underground station and Morden Road Tram stop are both within half a mile of the property. The freehold of the property is available with full vacant possession.